When you know that you will need to excavate your property, it can be tempting to DIY in an attempt to save money. However, this type of false economy often leads to trouble, and eventually makes it expensively clear why people pay for professional excavation services. 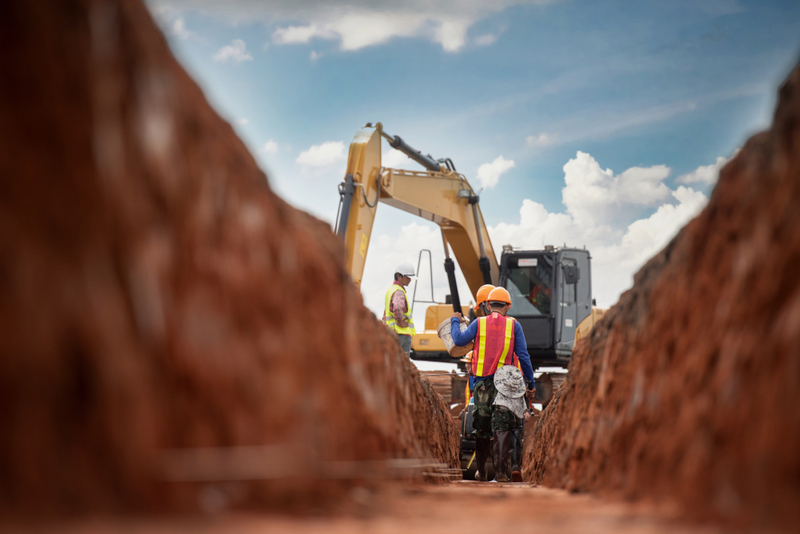 If you are on the fence about this issue, here are five reasons why you should go with a team of professionals on your next excavation project. One of the major reasons it is inadvisable to DIY excavation projects is that there is a high risk of damaging your own property. It is not uncommon for a professional team of excavators to be called in after a homeowner’s already damaged their home or landscaping. So, to avoid having your utilities, home, or something else severely damaged, call in the professionals. When it comes to excavation, a shovel and post hole digger isn’t enough, but that is often all a regular homeowner will have available. With professional contractors, they will be equipped with everything they need to complete the job from start to finish. As most property owners have never engaged in excavation, the likelihood of personal injury or damage increases. If things become damaged or someone becomes injured doing the job, the property owner will be held liable. Here at Stonetree, we are all licensed and insured. That way, should something unexpectedly go wrong, you won’t be on the hook for the cost of fixing it, as our insurance will cover any issues. The soil in Southern Utah is tricky as it is a heavier clay-like soil, with blue clay and gypsum deposits scattered throughout the area. It can be tough to safely excavate this soil for those who don’t have much experience with it. Our team of professionals have years of experience working with Southern Utah’s difficult soil and can bring their expertise and knowledge to your next project. Post-excavation, there can be a significant risk of soil erosion. However, with profession excavation services, that risk can be greatly reduced, giving you greater peace of mind and protecting your excavated site. So, if you are looking for a top-notch team of professionals for your next excavation project, be sure to contact Stonetree. We are ready to help you with all your landscaping needs!